Something that might help things "give" could be the event's 2 wildcards, Dane Reynolds and Mitch Crews. Dane grabbed the wildcard berth by winning a video contest open to all U.S. surfers (shocker). With the backing of some big names on instagram and other social media sites (ahem, Kelly Slater, Tony Hawk), Dane won the online poll and the spot in the Hurley Pro. Not like he didn't deserve it based on his video part! Being a Cali boy Dane is right at home at Lowers and is sure to be a tough out, especially if he manages to land a couple of huge maneuvers, like he is definitely capable of doing. 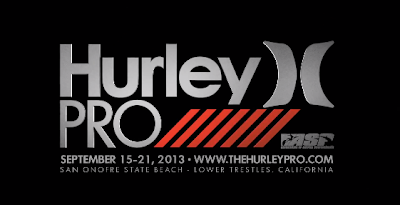 An interesting addition to the Hurley Pro's festivities for this year is the addition of an Expression Session featuring Rob Machado and an empty Lowers lineup. How to score the empty lineup and the session? The 5 highest bidders in an online auction will get this once in a lifetime opportunity - good luck breaking out the big bucks for those bids. All proceeds go to a good cause, the San Onofre Foundation, the caretaker of the San Onofre / Trestles region, which is the 5th most visited state park in California. Gotta take care of Trestles and the surrounding areas. 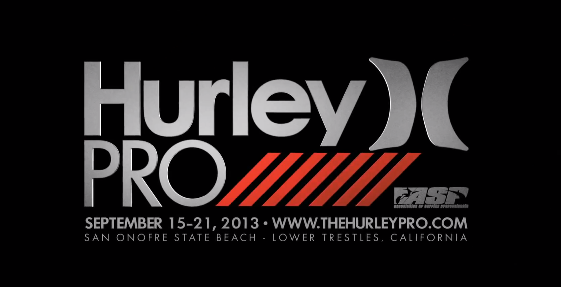 To get psyched, have a look back at the 2012 Hurley Pro and check out the Hurley Pro 2013 teaser!